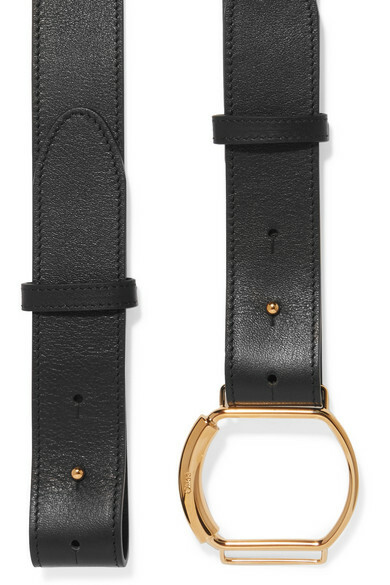 The distinctive ring hardware on Chloé's belt is inspired by some of the French maison's most well-known accessories like the 'Roy' and 'Nile' bags. It's been made in Italy from smooth black leather and has push stud fastenings at either side. 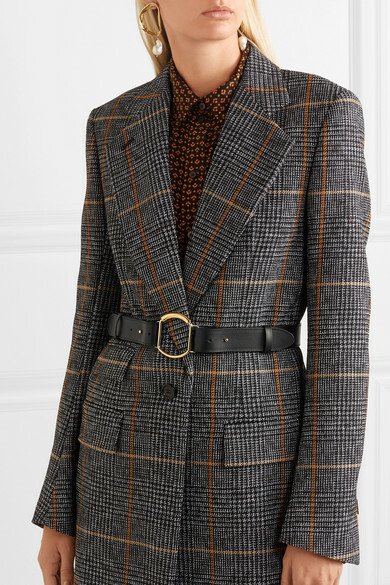 Layer it over everything from printed midi dresses to tailored overcoats. Shown here with: Chloé Blouse, Chloé Coat, Chloé Pants, Alighieri Earrings.